Gilmer County is the gem of the North Georgia mountains. Please take some time to enjoy what we call home. We are blessed to have a rich blend of natural beauty and rural charm, combined with many conveniences of a larger city. 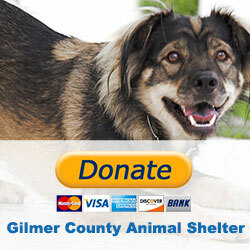 This is the web site of the Gilmer County Board of Commissioners and includes links or information to other agencies and offices that provide government services in Gilmer County. 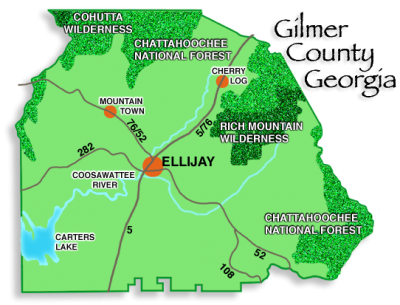 Thousands of acres of Gilmer County are protected state and federal lands, including a portion of the Chattahoochee National Forest, Georgia Department of Natural Resources’ Rich Mountain Wildlife Management Area, and Carters Lake which is a U.S. Army Corps of Engineers reservoir. Our recreation opportunities are almost endless. Springer Mountain, the southern terminus of the 2,175 mile long Appalachian Trail, is located in northeastern Gilmer County. We are also home to the end points of the Benton MacKaye Trail and the Pinhoti Trail. Many don’t know it but, in addition to being officially designated as the Apple Capital of Georgia, we are also the Mountain Biking Capital of Georgia. Gilmer County was one of the fastest growing (by percentage) counties in the nation in the 1990s. Today, our growth is at a much slower pace like the rest of the nation. However, infrastructure and capital improvement projects have proceeded in order to create a more responsible future for Gilmer County. This includes many road widening and paving projects, a new parking lot at the courthouse, and fire stations. We are proud to offer more service than most counties in our region do. Our Fire-Rescue service is a combination of a very highly rated Fire Department and an Advanced Life Support ambulance service. The Gilmer County Sheriff’s Department is one of the few fully-trained and certified agencies in Georgia. Disposal of household trash is offered at various compactor sites. We are also proud to have a very successful campus of Dalton State College located in Downtown Ellijay.